When writing preview features for the London Film Festival it’s difficult to resist the numbers. Those big numbers representing how many films will show over the 12 day festival, how many countries are featured, how many cinemas films are hosting films. And crucially, which numbers in the calendar you should be blocking out. That last one’s easy – Wednesday 5th to Sunday 16th October. But, there is one figure this year of paramount importance. 60. In 2016 the BFI London Film Festival marks its 60th anniversary. Maintaining the original brief of being a “festival of festivals” the LFF continues to bring to the UK movies which have wowed audiences at other festivals that year. The opening film way back in 1957 was Akira Kurosawa’s masterpiece Throne of Blood. This year it will be A United Kingdom. Directed by Belle’s Amma Asante, it announces the 2016 festival’s focus on black talent from around the globe. Other notable titles include Mira Nair’s The Queen of Katwe, Spike Lee’s Chi-Raq, Nate Parker’s provocatively titled The Birth of a Nation, plus Ava DuVernay’s The 13th, a documentary about African-American incarceration figures in the US. These movies are part of the 245 features and 100+ shorts from 75 countries that will be showing at 15 cinemas across London. 2016 is the year of Brexit. With intolerance depressingly threatening to rise again, A United Kingdom looks a vital film to open the 2016 London Film Festival. 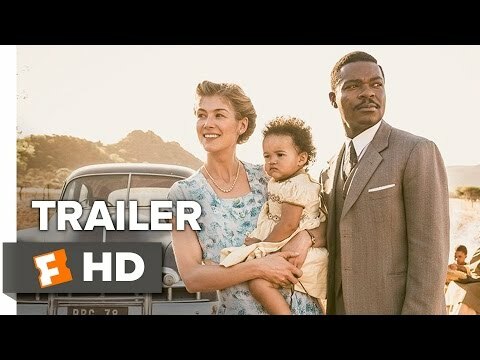 Based on the true story of Seretse Khama, King of Bechuanaland (modern Botswana), and his marriage to London office worker Ruth Williams, British race relations and themes of national identity (both here and in South Africa) will be explored. Director Amma Asante follows her accomplished sophomore feature Belle with a triumph of the spirit story, David Oyelowo and Rosamund Pike giving lead performances as the star-crossed lovers that should receive attention come awards time. How do you solve a problem like The Birth of a Nation? D.W. Griffith’s technically remarkable, morally reprehensible 1915 lament for emancipation and paean to the Ku Klux Klan? The answer could be to boldly re-appropriate the title for a corrective story based on true events about slave revolt. 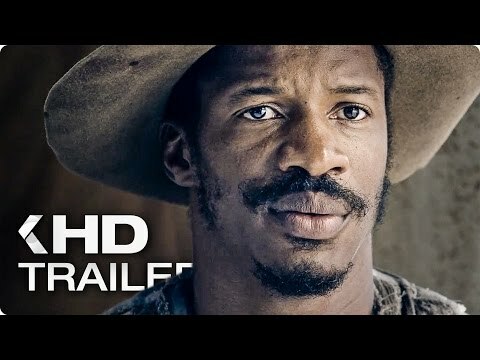 Nate Parker writes, produces, directs and plays the lead role in this powerful looking account of Nat Turner, an ordained priest slave who led open insurrection in 1831’s Virginia. Winner of the Audience Award and the Grand Jury Prize at Sundance, expect the accolades to continue. Coming across like an unholy intertwining of There Will Be Blood and Night of the Hunter, Brimstone may stun LFF audiences in the same way The Witch did at last year’s festival. A Gothic Western with an apparently extraordinary turn from Dakota Fanning as a mute prairie wife haunted by past demons, early buzz has talk of ravishing visuals and harrowing violence. Dutch director Michael Koolhoven chapters his movie into four separate sections, delving deep into long hidden secrets. All threatened to be brought to light by Guy Pearce’s newly arrived fire n’ brimstone preacher man. That Paul Schrader isn’t thrown money annually to make movies is a crime. He’s had to go to Kickstarter and Lindsay Lohan for work (resulting in career low note The Canyons) and he had the Nic Cage starring Dying of the Light ripped out his hands by the producers. He’s persuaded Cage for another go-round in a crime caper that looks like a car smash involving Raising Arizona, Out of Sight and Wild at Heart. Cage and Willem Dafoe are ex-cons who agree to kidnap a rival mobster’s one-year-old. The trailer promises outrageous violence, smart dialogue and a genuine sense of a director let off the leash. The LFF programme also mentions, “…the most un-PC ad-lib you’ll ever hear from the mouth of a Hollywood star.” Add in what appears to be a Schrader cameo and it’s all starting to look very Jackie Chan. Nice to know some things can always be relied on. One of them is that Paul Verhoeven will annoy and excite in equal measure. This adaptation of Philippe Dijan’s novel Oh… sounds as provocative as anything he or his leading lady Isabelle Huppert have put their name to. 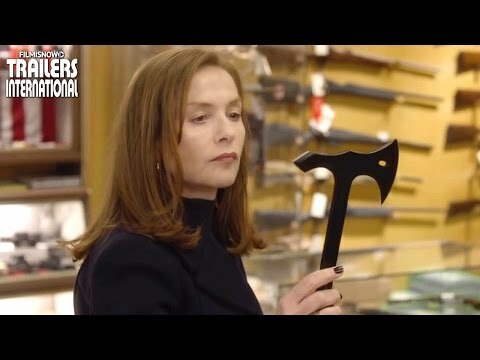 Huppert plays Michele, the wife of a video game company CEO, raped in her home by a masked intruder. But, seemingly taking pleasure in dismissing the terrifying incident, when her assailant attempts psychological control Michele accepts the challenge. Advanced word says expect a viciously black comic exploration of abuse and control, steeped in irony and complex motivations. Not everyone is going to like it. Director Ben Wheatley showcased his kaleidoscopic High-Rise at the 2015 London Film Festival in the Festival Gala Strand. 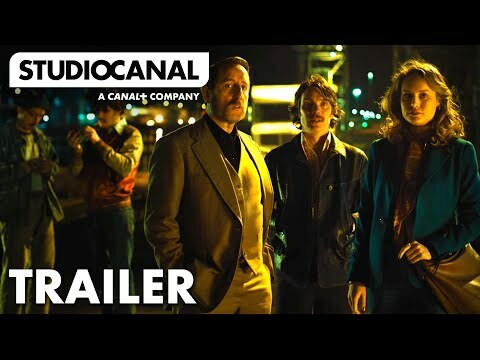 This year he’s back with Closing Night Gala film, Free Fire. Arriving with executive producer Martin Scorsese’s stamp of approval and a cast to kill for, this should bring the house down in style. In 1970s Boston, an arms trade for IRA weapons goes spectacularly awry. The LFF’s write-up speaks of gunplay emphasising “just how bloody long it takes, and how messy it is, to obliterate everything.” With Brie Larson, Sharlto Copley, Armie Hammer, Cillian Murphy, Michael Smiley, Sam Riley and Noah Taylor in the cast, this blast of Tarantinoesque chaos could rival Kill List as Wheatley’s best. A new film from director Park Chan-wook is cause for celebration. And The Handmaiden, his return to Korean filmmaker after the English language triumph of Stoker, looks sensational. 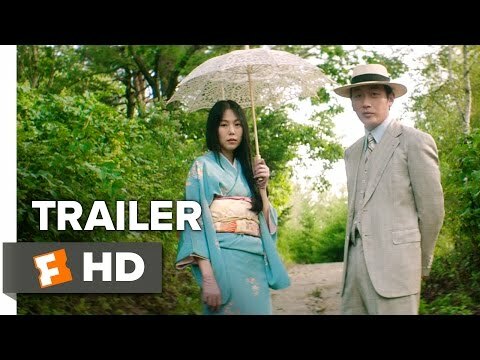 Set in 1930s Japanese occupied Korea, it tells the story of young pickpocket Sook-hee, recruited by Japanese conman Fujiwara to become handmaiden to wealthy heiress Lady Hideko. Lady Hideko is looking to escape her life, but to Fujiwara’s dismay the society woman may have eyes for her female servant. Park themes of betrayal and intrigue reportedly blend with the eroticism he brought to Thirst and Stoker, plus a political angle not usual of his movies. The trailer is a tantalising one-minute blast of style, excitement and bizarreness. Our must-see film of the 2016 LFF. Damien Chazelle’s Whiplash was the best film of the 2014 London Film Festival. La La Land looks as if Chazelle has shifted into a cruising gear to take the sights of a stunning, storybook Los Angeles. 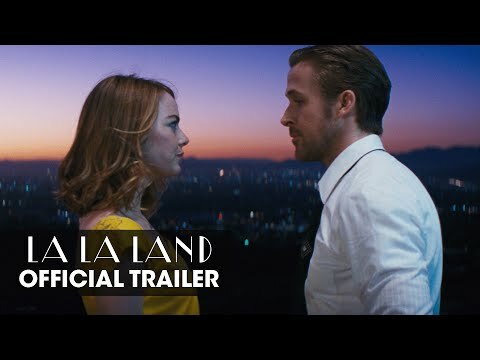 The City of Angels provides candy-coloured backdrop to what looks like a boy-meets-girl story, featuring walking alpha-genes Ryan Gosling and Emma Stone. It could be New York, New York. It could be Moulin Rouge. It could be One From The Heart. The only guarantee is, after Whiplash we’re definitely seeing this. 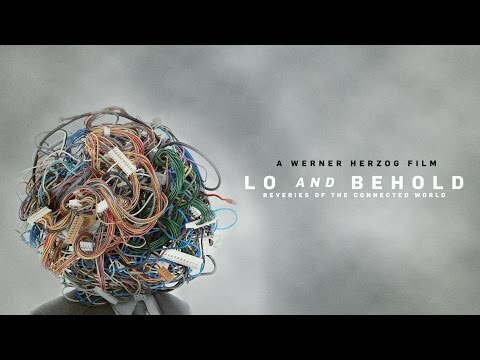 Over the course of his career, Werner Herzog has unassumingly proved himself master of the documentary. Typically focussing on memorable obsessives, in Lo and Behold… he journeys to the spiritual and digital home of the obsessive: the internet. Over 10 chapters Herzog travels the virtual highway from the Internet’s beginnings to its current status as the hub of the developed world. He explores benefits, problem areas and how the Web is affecting personal interaction. As this is a director who has literally gone to the ends of the Earth to meet people, it will be fascinating to see what he makes of relationships in a digital age. Kenneth Lonergan’s previous movie was Margaret, released back in 2011 after a 4 year legal dispute over final cut. If early Oscar buzz is anything to go by, Manchester By The Sea has avoided such legal landmines. 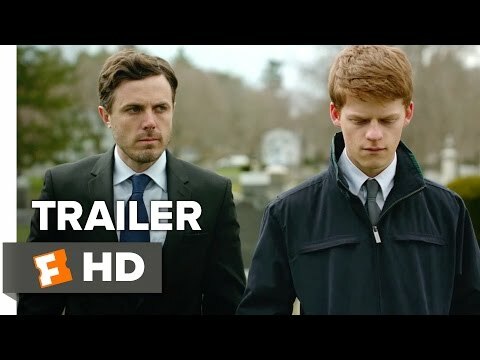 The never-less-than-impressive Casey Affleck plays a man forced to return home when his brother dies. Riven with demons from a past mistake, sudden responsibility threatens to shatter his carefully constructed locked-off existence. Michelle Williams and Kyle Chandler co-star in a movie that may see Affleck finally receiving the Oscar attention he richly deserves. Any film starring Rooney Mara, Ben Mendelsohn and Riz Ahmed will make us sit up and take notice. Australian stage director Benedict Andrews makes his film debut with an adaptation of David Harrower’s play Blackbird, penned for the screen by Harrower himself. Mara is Una, who unexpectedly appears in the life of Ray (Mendelsohn) to confront a decade old event. Apparently brimming with secrets and revelations to be avoided before viewing, this is a rocky journey, but one worth taking perhaps? Jean-Pierre and Luc Dardenne’s follow-up to the excellent Two Days, One Night seems to share basic plot DNA. That film had Marion Cotillard as a woman who must go from co-worker to co-worker, persuading them to vote for a pay cut so she can keep her job. 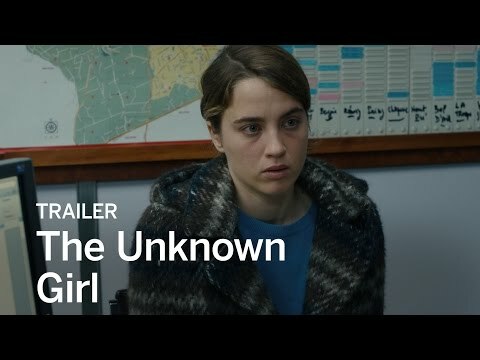 In the Dardennes’ latest a young doctor takes it upon herself to track down the acquaintances of a dead girl who knocked at her clinic door, before said girl is buried as another Jane Doe. Expect the Dardennes’ captivating, yet no-fuss filmmaking, focussing on another compelling narrative populated with sharply drawn characters. South Korean director Na Jong-hin’s third movie is his first in 6 years. But, that 2010 film was The Yellow Sea, a blistering action thriller and direct influence on Gareth Evans’ The Raid 2. Here Na looks to have made a horror epic with a dash of social commentary. As a series of killings rock a small rural town, the locals suspect a mysterious Japanese man of the crimes. When an inexperienced local policeman investigates, he discovers those closest to him are at peril. Serial killer chills are to be expected – Na’s debut movie was the compelling, though flawed The Chaser. What excites us are the reports of a full-out supernatural assault on the senses that erupts as the cop delves deeper into the case. Director Makoto Shinkai may be unknown to those not well-versed on their anime, but Your Name stands a good chance of changing that. The first animated movie to be programmed in the London Film Festival’s Official Competition strand, it takes the well-worn body swap premise and gives it a fresh polish. Two teenagers living in different parts of Japan suddenly dream about each other. They then begin swapping bodies, leading to situations reportedly surprising, inventive and poignant. Shinkai’s previous movies, including 5 Centimeters Per Second and The Place Promised In Our Early Days, have been visually splendid and emotionally rich. Your Name appears to continue that tradition. And that’s it; our 15 must-see films at this year’s LFF. Here are some we had to mention that almost made the list – American Honey, Mindhorn, A Monster Calls, Arrival, Ethel and Ernest, Snowden, The Autopsy of Jane Doe.